Microcurrent treatment is used to dismiss the appearance of fine lines and wrinkles by improving texture and appearance of skin and reducing the overall visual of aging. Microcurrent, a popular treatment for aging skin, uses a low-level electrical current to trigger the body’s natural skin enhancement chemicals at a cellular level, giving skin therapists an effective tool against the signs of skin aging. While alternative medicine practitioners use it for injury recovery, skin therapists note that it provides firming and toning benefits that continue to improve with subsequent treatments. 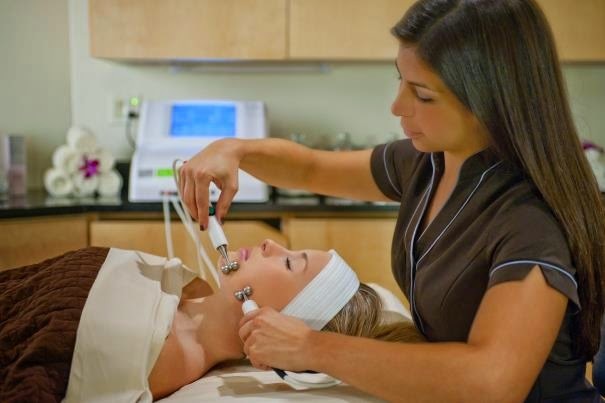 Skin care therapist uses microcurrent to tone and firm the skin. 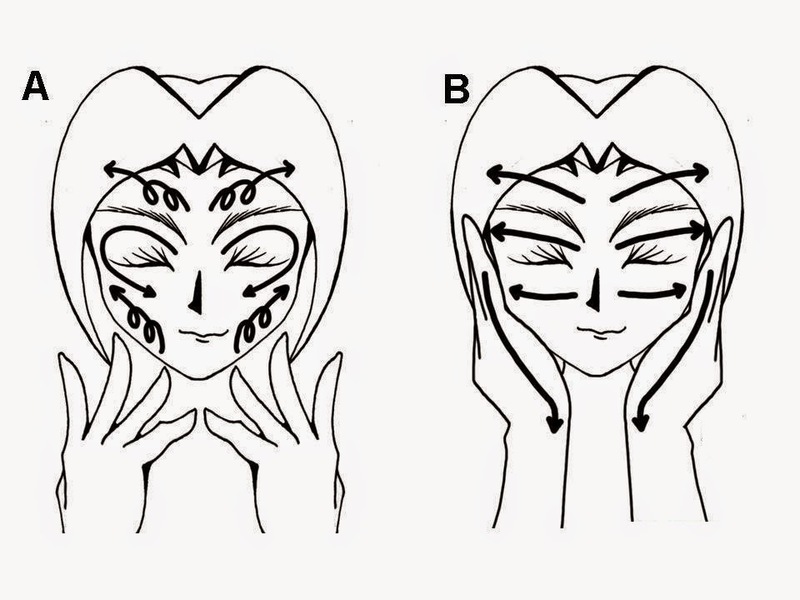 Muscle re-education is mostly related to the term "facial toning". Microcurrent acts like a personal trainer to tone and shortens, reprograming the muscle fiber. It is a gentle electrical stimulation at very low level (microamps) that triggers the body's natural skin enhancement chemicals at a cellular level. Clinical studies have shown that after twenty days of treatment collagen production increases by 14%, elastin increases by 48%, and blood circulation increases by 38%. Scientists have also found that microcurrent facelift treatments trigger the body's production of amino acids and adenosine triphosphate (ATP) which accelerate cell repair and promote healthier cell production. Results are immediately seen after the first application and continue to improve with each subsequent application. It has a cumulative effect. The number of sessions depends on the client age and skin condition.The effects of microcurrent are immediate and cumulative. Clients go through a series of treatments followed by regular maintenance to keep a more youthful appearance.Each time a treatment is performed the new contour maintains its position better and longer. Typically clients will notice to 5 to 7-year reduction in facial aging. 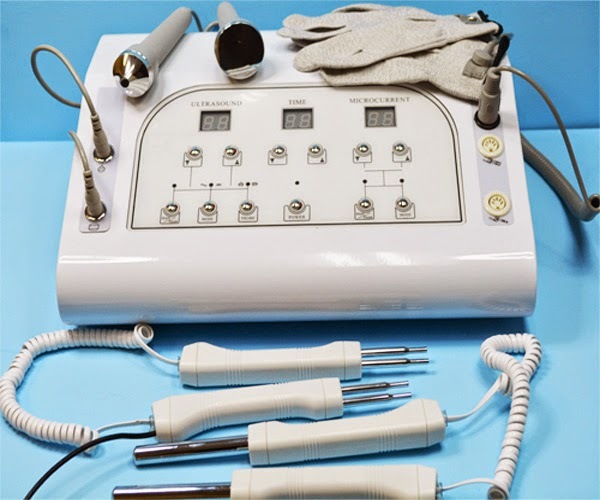 Usually, Microcurrent is a built-in function in multifunction devices or it comes accompanied with another function as the picture above that has Microcurrent and Ultrasound. 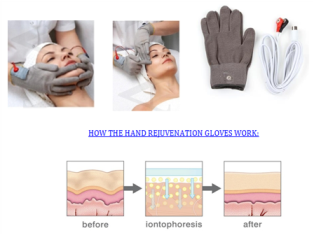 This equipment has also a pair of gloves to perform a facial massage with microcurrent.